With all their biker friends rolling in its Ice Cream Smiles Sunday! So pump up the tires and plan your #NextBikeAdventure with a stop at your favorite ice cream shop. What better way to start your Summer and your #NextBikeAdventure. Plan your next outing with family and friends at one of Minnesota’s HaveFunBiking Destinations. View all the fun ideas and bike destinations in the latest Minnesota Bike/Hike Guide. 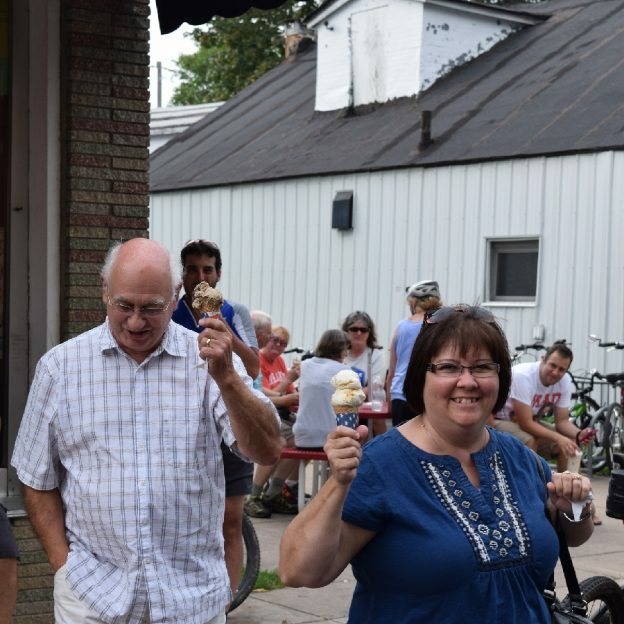 This entry was posted in News and tagged #icecream, #icecreamofinstagram, #nextbikeadventure, bike with freinds, cool treats, free bike maps, fun with friends, Ice Cream Smiles Sunday, Minnesota Bike Guide on June 25, 2017 by Russ Lowthian.